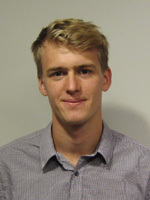 Oskar Ljungqvist is currently a Ph.D. student at the Division of Automatic Control at the Department of Electrical Engineering, Linköping University. He started his PhD studies in October 2015 after recived his M.Sc. degree in Applied Physics and Electrical Engineering (Y) at Linköping University.